A loan of $1,500 helped to buy a solar panel in order to use with light bulbs to bright his house during the night time. 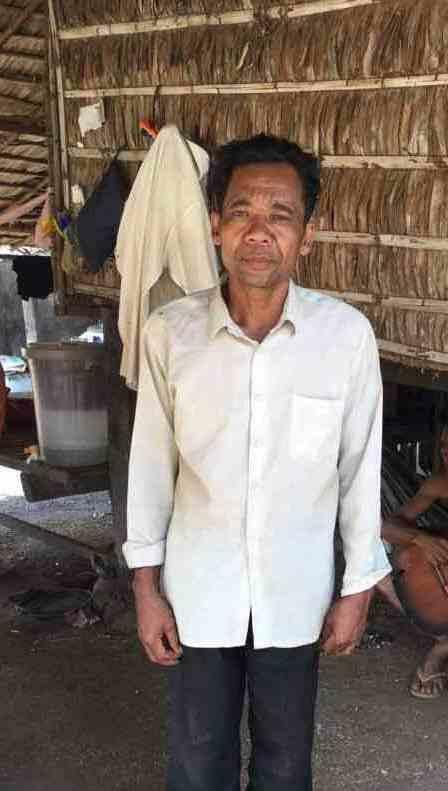 A local farmer from Kampong Cham province, Rin is 51 years old. He’s married, and has two children. To support his living, he has been growing rice and working as a construction worker for 30 years. This will be the second loan cycle for Rin with VisionFund, and he has fully repaid his past loan on time. He is registering his loan to buy a solar panel in order to use light bulbs to bright his house during the night time. He hopes that this loan can help him to save more income, as he can reduce the cost of battery charging. It provides access to affordable solar energy systems to low-income families. This loan is part of VisionFund Cambodia's effort to promote solar energy and make it available for low-income, rural households that lack access to electricity. When clean, solar lighting is affordable, entrepreneurs can work longer hours and generate more income; children can study longer after dark to do better in school; and families can improve their standard of living. VF Cambodia created this loan product on the recommendation of a feasibility study on renewable energy conducted in collaboration with Frankfurt University. By working with Kiva, the organization is able to offer these loans at a lower interest rate, making it even more affordable for families to go solar.